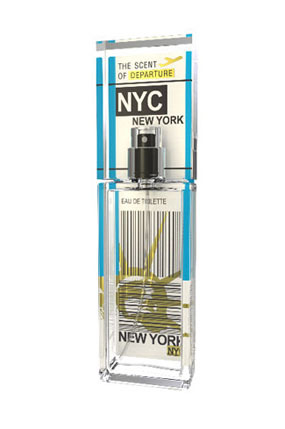 What if you could carry with you the souvenir of the cities you love the most? What if with only a blink and a sniff you could be taken up the Empire State Building or invited to lay down on the grass of the Champs de Mars down the Eiffel Tower? Europe, North America, Middle East, Asia… so many continents with as many remarkable cities to discover, remember and dream of. Entrepreneur and talented perfumer Gerald Ghislain along with creative partner Magali Senequier, have come up with an original concept to offer people the unique opportunity to catch the scents of their world’s most cherished cities; The Scent of Departure. 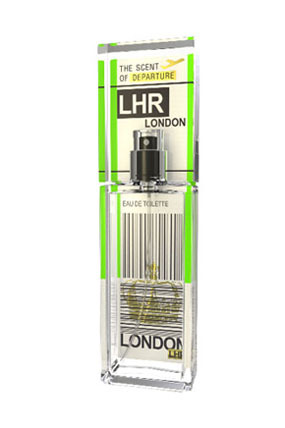 The Scent of Departure, a new collectable line of perfumes dedicated to bring back home one’s unforgettable trip, is a 1.7 oz bottle sold for $45 which design is inspired by a luggage tag. The slender glass skyscraper features the 3 IATA code letters of the city that it represents: CDG for Paris, JFK for New York City, HKG for Hong Kong, MIL for Milan, SIN for Singapore, and so many more. For the launch of the collection, the brand will have 14 cities available: Paris (CDG), London (LHR), Milan (MIL), New York (NYC), Los Angeles (LAX), Miami (MIA), Dubai (DXB), Abu Dhabi (AUH), Doa (DOH), Singapore (SIN), Tokyo (TYO), Hong-Kong (HKG), Seoul (ICN) and Bali (DPS). 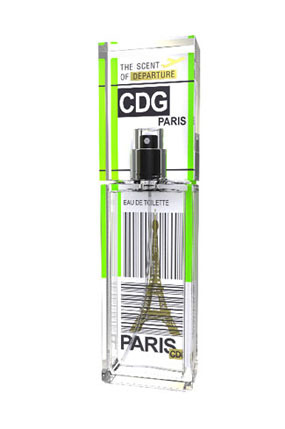 All the fragrances will be for sale in airports and main retail stores as well as online . It is only the beginning of an adventure as more cities are to come.